A virtual information session to outline the process and provide an overview of the assessment. This is useful because many children haven’t taken an assessment before or they haven’t taken one that is so individualized and comprehensive. We want to make sure your child is set up for success from the start of this coaching program. Access to complete the Harrison Work Preferences Questionnaire. The questionnaire takesabout 20 minutes to complete and the results are immediate. The data will save you thetime and money of researching on your own. A Your Greatest Strengths report which provides an ego boost for your child by highlighting what they do best. 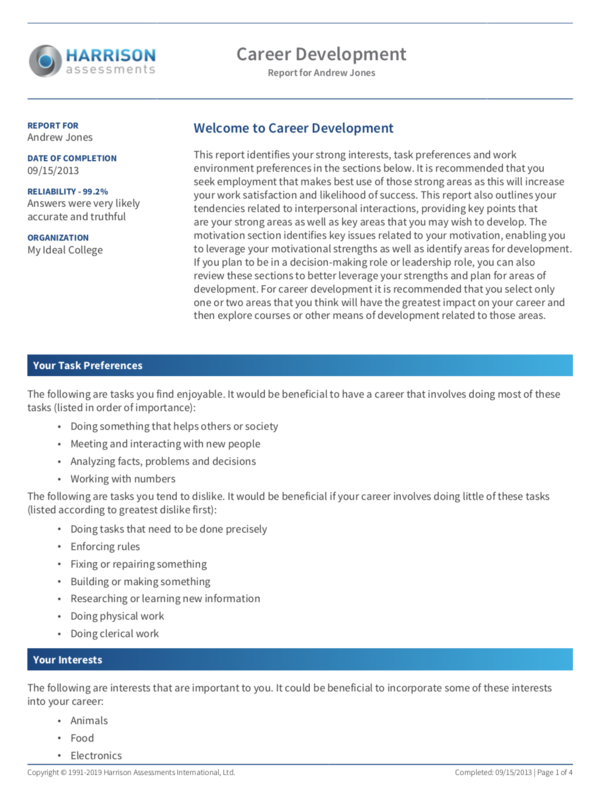 This report can greatly help them create their college essays. They can input this data in their essay and support the statements with real examples. That’s priceless! 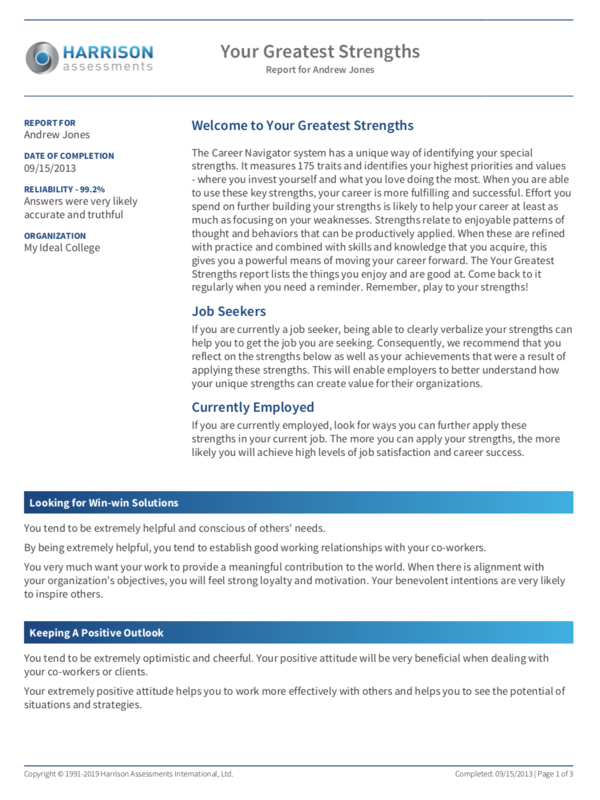 A Career Development report that outlines your child’s overall career strengths and potential areas that might derail their career success. It suggests tasks and work environments, provides insights into interpersonal skills, and highlights motivational factors. 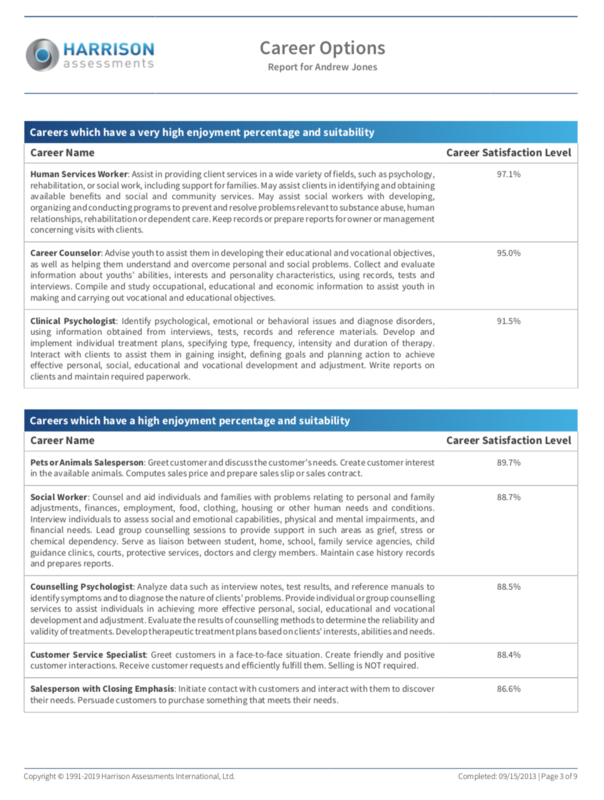 A Career Options report that matches your child’s natural abilities with the traits needed to be a success in many different jobs and industries. This is where you and your child may struggle doing this on your own because your talks about their interests are subjective. This is objective data that has been proven to be accurate with thousands of people. Ability to review data for up to 10 different jobs to gain a deeper understanding of why your child would be successful in that job and areas that can derail success. The Discover My Ideal College Guide which is a step–by–step guide to help you review your Harrison reports and chart out your plans and action steps. 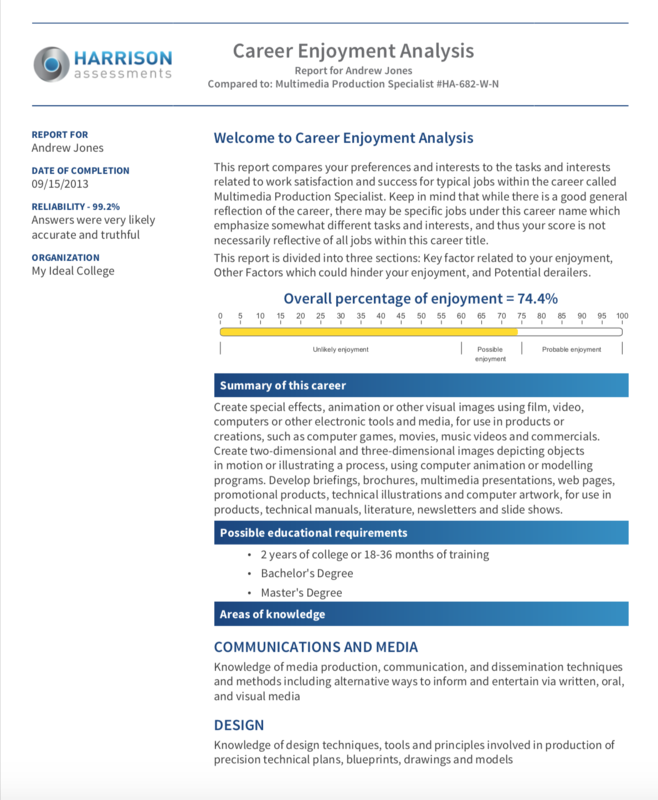 Download a sample report to see for yourself!